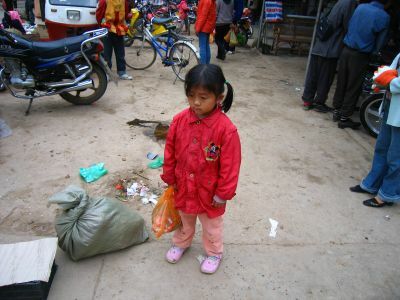 just about to cross the border from china to laos walking through a market and i spotted this little sad girl. i crossed over into laos and an entirely different world. 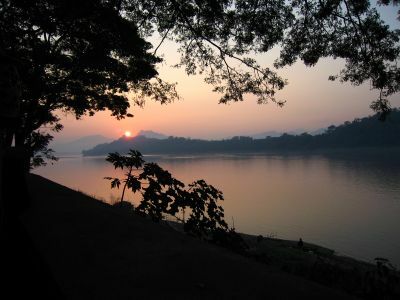 i thought the countries of southeast asia would look just like china but laos at least looked completely different. 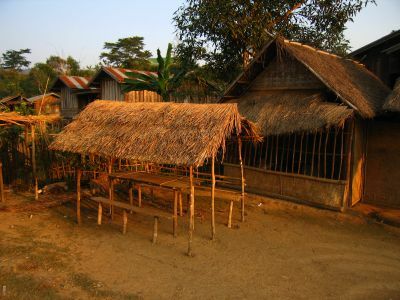 small villages comprised of thatched roof bamboo huts. no trains in laos so you get around by bus or more often a truck like this one with two benches in the back - put all your chickens on the roof please. 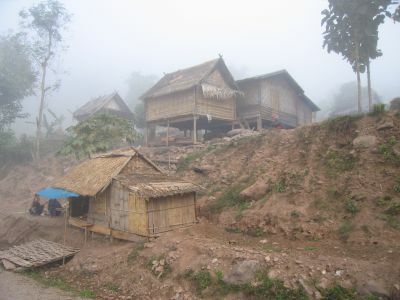 riding in a van through laos past mountain villages shrouded in mist. 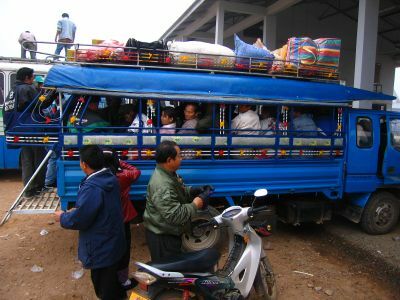 the bus would stop in some villages to let people out or pick more people up. we stopped for a long time once so i jumped out and walked through a village. here is main street. 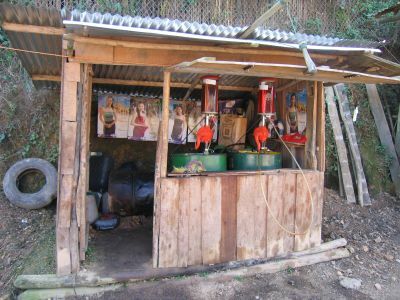 this is a gas station in laos. yes it is. 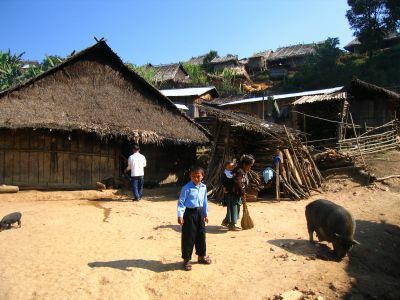 the countryside of laos is covered in jungles and mountains with those small villages dropped in between - spectacular. 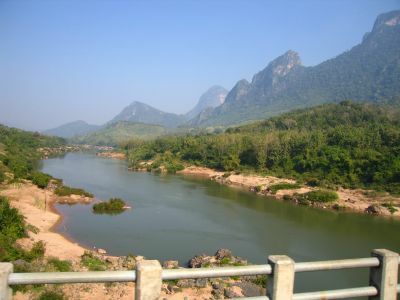 here we are crossing the mekong river and are afforded a great view of the peaks. i met veronika and peter from slovakia on the bus from china so we hung out through laos. 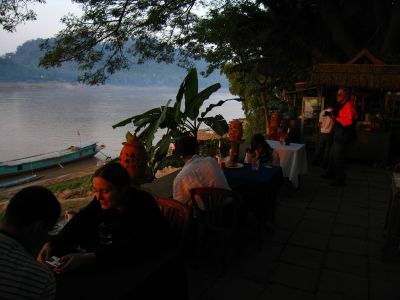 after our journey on the bus we arrived in luang prabang, laos where we found a restaurant along the mekong river. they are on the bottom left. turning the other way this is our view as the sun sets behind the mountains as the mekong slowly flows by.